Being a busy mum on a budget doesn’t mean that you should miss out on the relaxing, ‘you’ time that you deserve. One of the best ways to give your skin a pick-me-up is to apply a face mask while you kick back and relax. Making a face mask at home from ingredients you may have in your kitchen cupboards not only saves you pennies, but is also a fabulous treat for your skin. So we’re sharing our five favourite home-made face masks. They don’t cost a lot to make and will do wonders for your skin with their natural goodness. So whisk one up, slap it on and relax. Go on, you deserve it! Avocado, porridge oats and honey are all great for oily skin. 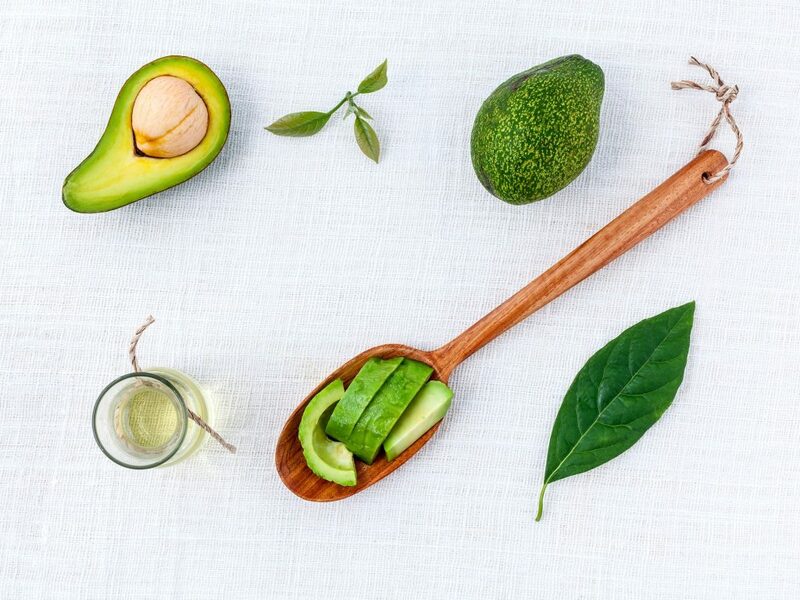 And, as avocados are filled with vitamin A it will help purge off any dead skin cells. All you need to do is blend two teaspoons of porridge oats, one teaspoon of avocado and one teaspoon of honey together to make a thick paste. Apply and leave for ten minutes or so before washing off with warm water. Honey is a brilliant natural moisturiser for your skin. Mix together one egg yolk, one tablespoon of warm honey and one teaspoon of olive oil. Apply to your face for about 15 minutes and then be amazed at the moisturising properties of the natural ingredients when you wash it off! If your skin needs a bit of reviving, blend half a cucumber and one tbsp of natural yoghurt in a blender. Leave on your face for 15 minutes before washing off with cool water. The cucumber contains anti-oxidants and silica, which will rejuvenate your skin and leave it glowing. Green tea contains many benefits for blemished skin. 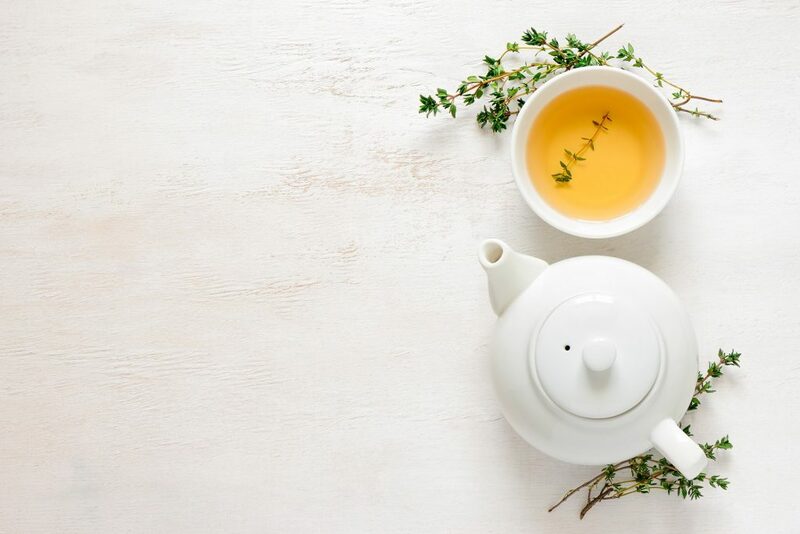 The healing properties in the tea reduce redness, unclog pores and reduce puffiness. You’ll need two green tea bags, one tablespoon of sugar and half a tablespoon of lemon juice. Leave the tea bags in hot water for about an hour. When the tea is cool, take out the bags and add the sugar and lemon. Rub over your face then rinse off after 15 minutes with cool water (the cool water will close your pores). A vitamin C mask is perfect as an anti-ageing skin treat. In a blender, blend together half a fresh, peeled kiwi fruit, two tablespoons of raw honey and two drops of orange essential oil. Rinse off with warm water after 15 – 20 minutes. In the past doctors dismissed tongue tie as an issue and rarely did anything about it. 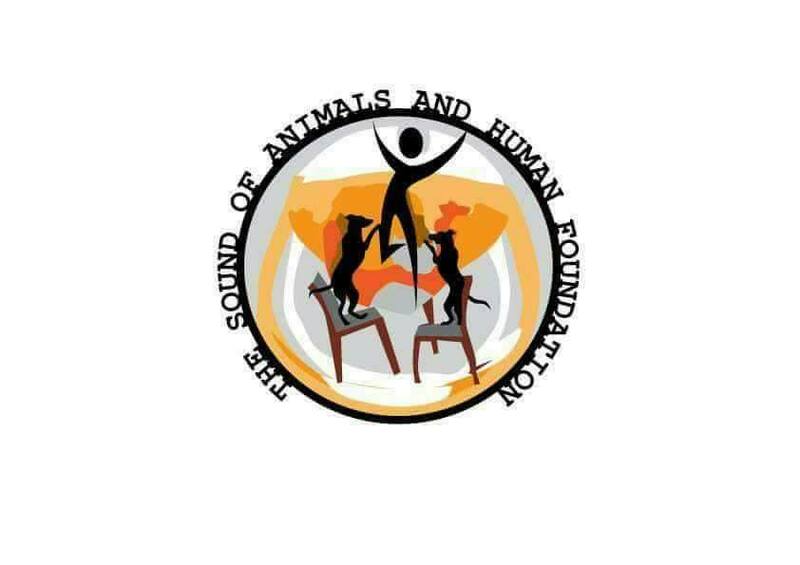 Nowadays it is recognised as a common problem and can have a detrimental affect on babies and their feeding, as well as possible speech problems for older children. It affects 3-10% of newborn babies. It basically occurs when the bit of skin attaching the tongue to the floor of their mouth (the lingual frenulum) is too short and too tight and prevents them opening their mouth widely. If the baby is not latching on correctly when breastfeeding, it can be very painful for the mother and the baby may not be able to feed properly. In toddlers, tongue tie can affect their speech and ability to pronounce certain sounds. Tongue tie is also classed according to how bad it is. So, a baby may be 50% tongue tied or 100% in severe cases. It is a good idea to ask the hospital to check your baby’s tongue when they are born. It can save a lot of distress and discomfort dealing with it after you are discharged. You can often see the piece of skin at the front of their mouth and babies will have a distinct ‘heart shaped’ tongue with what looks like a dent in the middle of it. Don’t think that because you are not in pain that the baby is necessarily feeding properly. They may still be taking in too much air and suffer from painful wind, even if feeding feels comfortable for you. If your baby has colic, ask a Health Visitor to check for tongue tie. The good news is that tongue tie is relatively easy to rectify. They simply hold the baby’s head while they snip the skin to divide it and allow the baby to open their mouth wide enough to feed. The procedure is over before you know it. It is more distressing for the mum than the baby! They normally ask the baby to suckle immediately after the snip to comfort them and relieve any pain. There may be some light bleeding but the baby is unlikely to be bothered or aware of it. In older babies or toddlers a general anaesthetic may be used to do the procedure. The problem may be teaching your baby how to feed again as they are likely to have got into bad habits. This can take days or weeks. Be persistent if you can as your baby will get there in the end. If you suspect your baby or toddler has tongue tie or would like more information contact your health visitor, doctor or a health care professional. 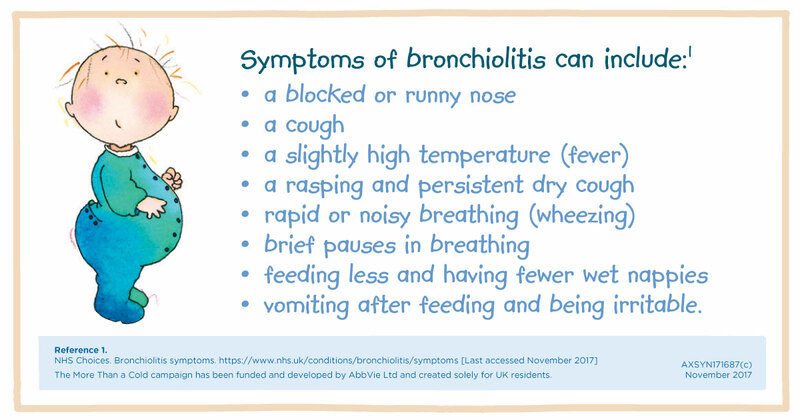 Bronchiolitis: Would you know if it’s more than a cold? 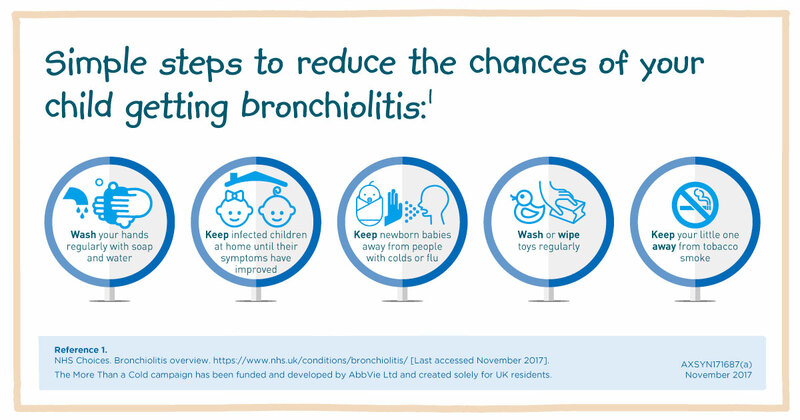 Bronchiolitis is a common lung infection, which affects babies and young children. It causes inflammation of the small airways in the lungs (bronchioles). 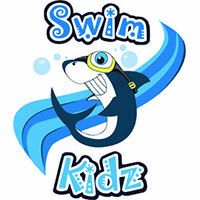 This restricts the amount of air able to enter the lungs, therefore making it more difficult for the child to breathe. For most infants, bronchiolitis is no more serious than a cold. 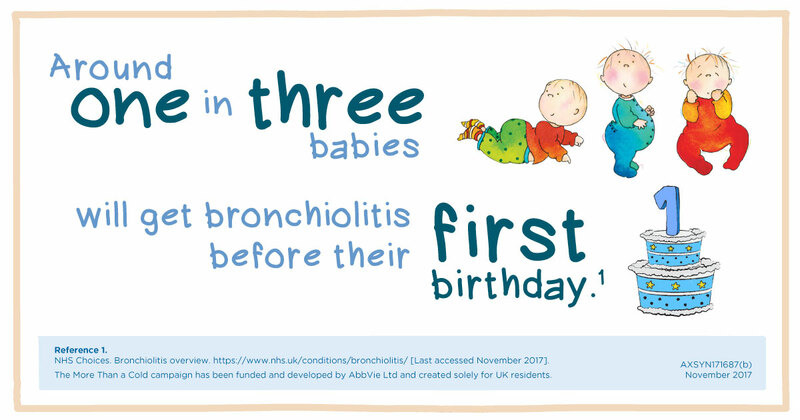 However, around 30,000 infants are admitted to hospital in England each year with bronchiolitis. It is the most common reason for infant hospitalisation. Bronchiolitis occurs more frequently during winter months and mainly affects babies aged between 3 and 6 months. Premature babies and babies with certain heart or lung conditions are more at risk of developing the condition. Would you know if it’s more than a cold? Find out more at the More Than A Cold Website here. It’s a great irony of parenthood. For the first time in your life you are never alone. And yet isolation and loneliness are real issues faced by so many mums and dads. Mums are everywhere – at the park, baby and toddler groups, children’s centres and the school gates. I often hear people say that it’s easy to meet other mums when you have young children. This is true. Meeting other mums is easy, but often establishing deeper connections with those you meet is not. Firstly, just because someone has a child the same age as you, it doesn’t automatically follow that you’ll have lots in common. And secondly, even if you do have lots in common, you’ll both have to make a lot of effort to build a meaningful friendship. I consider my closest friends to be the ones I made at school (with the exception of some of my mum friends). We saw each other almost every day for seven years. We navigated the turbulent teenage years as a unit – crying, laughing and learning together as we went. We shared all our secrets with each other and, because we naturally saw each other every day at school, we didn’t have to make an effort to meet up. Our friendships were built on solid foundations and have lasted a lifetime. While we don’t see each other every day anymore, it really doesn’t matter. Even if months pass by, when we do finally get together we can just pick up where we left off. Whether you’re a stay at home mum or a working mum, you won’t see the same mums with your children every single day. You may even struggle to meet up with your mum friends once a week. There are so many obstacles in the way – illnesses, tantrums, appointments – trying to be in the right place at the right time as the parent of a young child is difficult. It is possible to be surrounded by people all the time and yet still feel isolated. When I had my first child, I was incredibly lonely. I was the first of my friends to have a baby and went from working full time and having an active social life to spending my days alone with my baby. Making friends as an adult is hard, especially when you don’t see the same people every day. Once I had found them, my mum friends became a lifeline to me. I was so much happier with these incredible women in my life to share every stage of my motherhood journey with. But it took time and effort. I had to put myself out there and let myself be vulnerable. It meant making a real effort to make sure I saw the same mums on a regular basis and opened up to them. 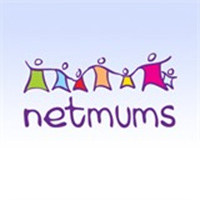 When I first joined a meet a mum board and wrote a post asking if any other mums would like to meet up, I felt incredibly vulnerable and I didn’t expect anyone to reply. I had never actively tried to make friends before; all of my friendships had come about through school and work. But people did reply and, with time, I incorporated the ones I connected with into my life. If you’re feeling lonely right now, please know these two things: it’s nothing to be ashamed of and you can do something about it. Being shy, I know how difficult it can be to put yourself out there. I’m not someone who can breeze into a room full of strangers and chat to them all. I think it’s about finding a way of meeting new people that works for you (be it online, baby groups, classes etc) and sticking to it. There will be knock backs and frustrations (they don’t call it ‘mum dating’ for no reason!) but if you persevere there is so much to gain. If you feel isolated at the moment please reach out and don’t stop reaching out until you find the network you need to thrive.